I read the article on “The Next Generation of AMSOIL Marketing” (January 2016) with great interest. I have never been a purveyor of extended drain intervals. I’ve been a Dealer since 1980 and my main interest in AMSOIL has always been reduced wear and engine cleanliness. I have used 15W- 40 Synthetic Heavy Duty Diesel and Marine Oil (AME) in my ’73 Porsche* 911T* since 1984. The oil consumption rate now is the same as when I bought the car in 1983. I change the oil once a year, but the car gets driven at most 1,500 miles a year. The main reason I use Heavy Duty Diesel and Marine Oil is that years ago AMSOIL marketed it as a “preservation” lubricant. In fact, you used to tout that it met MILPRF-21260, which is recommended for preservation and break-in – perfect for engines that spend most of their time sitting, as with my old 911. I don’t see the “preservation” marketing angle being used for any current product. Why is that? 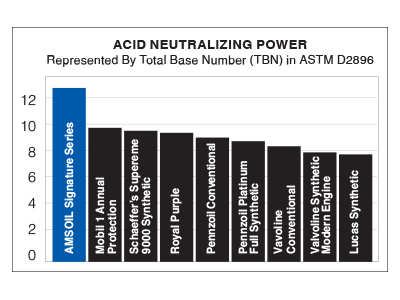 It’s interesting that AMSOIL is turning more toward the “car enthusiast” market segment. Many of us who own classic cars drive them less than 5,000 miles a year, but still change the oil once a year. I own a BMW* too, and it only sees European Car Formula 5W-40 Classic Emissions System Protection Synthetic Motor Oil (EFM) (which meets BMW LL-01). I change it every 6,000 miles and the filter every 3,000 miles. That’s less than half BMW’s recommended 15,000-mile change interval, but they’re in the business of selling new cars, not making them last so long as to have a negative impact on sales. The BMW is a daily driver and is driven about 15,000 miles a year. Here’s another BMW question for you. BMW requires use of a 10W-60 synthetic in their “M” series cars. Will AMSOIL be coming out with an oil that meets the requirements of that oil any time soon or is it too small a niche to be concerned about? We used AMSOIL Premium Protection 10W-40 Synthetic Motor Oil (AMO) in a ’90 Volvo* Turbo wagon that was my wife’s daily driver for 14 years. We sold the car with more than 305,000 miles on it, and it ran perfectly. It had the original engine, transmission and turbo. 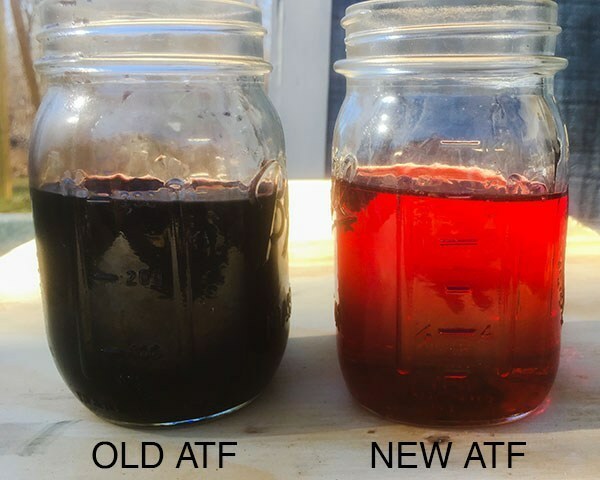 I did oil drain intervals on the transmission every 20,000 miles and used Signature Series ATF. We changed the oil every 5,000 miles as recommended in the manual. We replaced it with an ‘04 Saab* 9-5 Aero Sport Kombi* and use European Car Formula 5W-40 (EFM) in it just like our BMW. Oil changes are every 5,000 miles per the owner’s manual. Again, the reasons for using AMSOIL are decreased wear, consistent high levels of performance and excellent engine cleanliness. Extended drain intervals were never a consideration for me. AMSOIL: We’re glad to hear about your excellent experiences with AMSOIL products. Although Heavy Duty Diesel and Marine Oil is an outstanding choice for preserving your Porsche 911T, the market is focused on wear protection, reduced oil consumption, engine cleanliness and reserve protection qualities, and these are the areas on which we concentrate our marketing (and it sounds like you do too). Z-ROD® Synthetic Motor Oil, formulated with rust and corrosion inhibitors that ensure maximum protection during storage, is marketed more as a preservation lubricant. Although you drive minimal miles, your once-per-year oil change is a sound maintenance practice as it drains out any contaminants that entered the sump over the past year. You are correct that the 10W-60 viscosity is a niche product.